This entry was posted in Local Events and tagged Holidays on June 28, 2016 by Locksmith Sarasota. All of us at Locksmith Sarasota want to wish you and your family a happy 4th of July! We’ve selected a few events around town to help you plan your celebrations this year. Everything from live music, activities for the kids, excellent food, and of course – fireworks! We haven’t listed everything you can do around town but we’ve put together a list that has a little bit of something for everyone. Happy 4th of July, Sarasota! Get your blood flowing this 4th of July with the 10th Annual Firecracker 5k run in North Port. The flat, 3.1 mile race is a great way to start off the celebrations on the 4th. The race is well-marked and has a water stations on the course so you can stay hydrated. Entrance fees are $20 for early registration and goes up to $30 on race day. Prizes are handed out immediately following the race. Register and race at the Morgan Family Community center at 6207 W. Price Blvd., North Post. Arrive early for registration, the race begins at 7:30 AM. BBQ and summer go together like Florida and humidity, you just can’t separate one from the other! Selby Gardens’ All American Barbecue is the place to be this 4th for family-friendly fun and the best BBQ for a thousand miles. The Pit-Masters this year will be Michael’s On East, Polo Grill/Fete Catering, Southern Smoke BBQ, Bricks BBQ, and La Dona Donuts. Live music from the Lauren Mitchell Band will get you in the mood to chow down and celebrate America’s birthday. Bring the kids too, because they will have a whole bunch of fun things just for them to do, too. And of course, fireworks over Sarasota Bay to top off the evening. 811 S. Palm Ave, Sarasota. Fun starts at 6PM and runs until 10PM. Tickets are available at $30 for members, $35 for non-members, and FREE for kids 11 and under. Looking for something a little more relaxed and centered on fireworks? Well bring your chairs, blankets, and coolers down to Bayfront Park and Island Park and grab a spot to watch the show, which starts at 9 PM. The fireworks are visible from anywhere in downtown too, so if you want to shop and grab a drink, don’t worry, you’ll still be able to see the show over the bay. The City of Palmetto will be putting on a spectacular fireworks show, beginning at 9 PM. The fireworks can be viewed from both sides of the Manatee River, and downtown Bradenton. Grab the family, bring some chairs and blankets, your cooler full of food and refreshments, and head down to the Manatee River Walk for a great spot for the whole family. The Venice Beach area has some great viewing spots for the fireworks displays, but be sure to arrive early as thousands will line the beaches. And if you own a boat – you’ll want to arrive early as well to snag a good spot to anchor. The fireworks are launched from the south end of Venice Jetty, so anywhere on Venice Beach, anchored in the Gulf, or in the Intercoastal Waterway, are good vantage points. Fun starts shortly after 9:00 PM. The Siesta Key fireworks show is one of the most popular 4th of July events in Florida. When the weather’s good crowds of twenty to thirty-thousand people are common! The fireworks display is put on from the north end of the volleyball courts, so good spots for viewing are anywhere south of the volleyball courts along crescent beach and the Intracoastal Waterway. If you have a boat, pilot it over to the area and you have one of the best seats in the house, too! The fun starts at 9 PM, but arrive early for good spots. Weather-permitting, this will be the 30th Annual Sandbar Restaurant Fireworks Spectacular on Anna Maria Island. Located at 100 Spring Avenue on the north end of the Island, the Sandbar Restaurant will host a VIP party around 9 PM with cocktails, a buffet, party favors, and music. Grab a seat on the beach and enjoy the show! 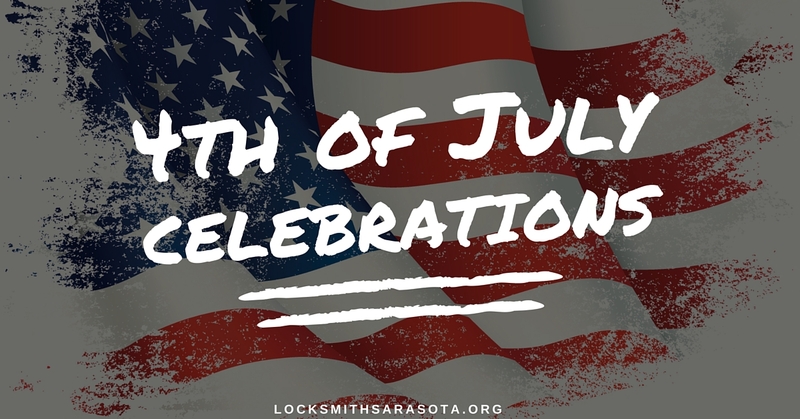 Locksmith Sarasota wishes you a happy and safe 4th of July and holiday weekend. Remember to celebrate responsibly and not to drink and drive. 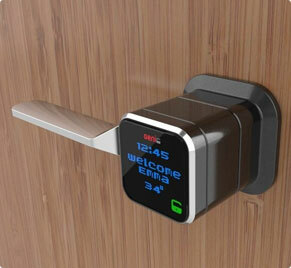 If you do lock your keys in your car, give Locksmith Sarasota a call, 24/7. We will get you on back on track, fast!